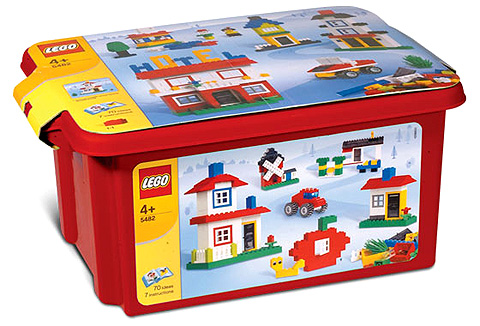 I'm curious, what was everyone's FIRST Lego set? Mine was the 2003 Lego Star Wars Jabba's Prize! It was the first Lego set I ever bought and honestly my favorite. 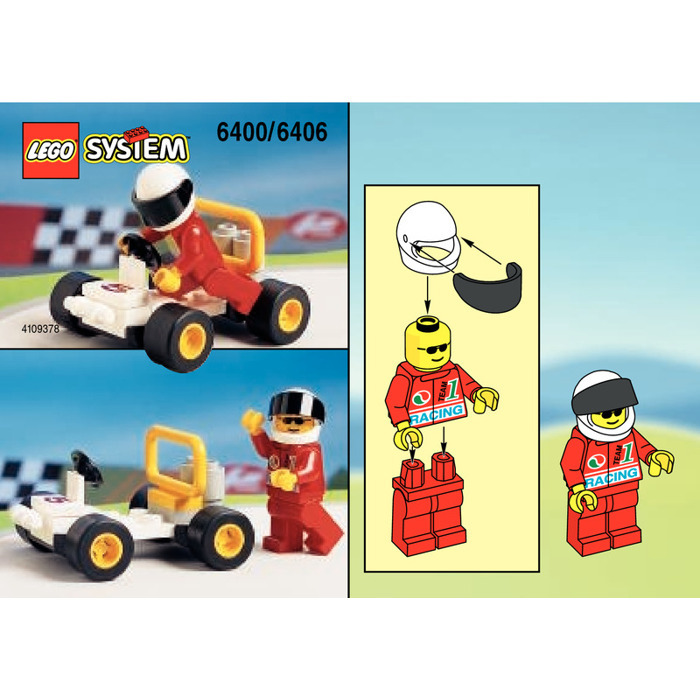 I've looked so long for my first Lego set and I cannot find a single image of it! I want to say it's this one, but I recall the lap desk being red and not blue. All I know for certain was that the lap desk was red, had a Freestyle minifig with the classic smiley face, and included 2 light-green 16*32 baseplates. I think I know which set you're talking about, Chris! I think I had the same once. I just loved that black visor, those tyres and that number five... Good times. I never got a first Lego set, my Dad used to collect Lego when he was younger and he handed it all down to me. But I had lots of those old 2000-2005 Lego sets, mostly cars, and some others, but I never got one first one. <citer=@minideliciouspant>I never got a first Lego set, my Dad used to collect Lego when he was younger and he handed it all down to me. But I had lots of those old 2000-2005 Lego sets, mostly cars, and some others, but I never got one first one.</citer> I got a good bit of my Lego from my dad as well. Still use some of it to this day! Jared Johnson Jan. 21, 2019. @minideliciouspant I never got a first Lego set, my Dad used to collect Lego when he was younger and he handed it all down to me. But I had lots of those old 2000-2005 Lego sets, mostly cars, and some others, but I never got one first one. I got a good bit of my Lego from my dad as well. Still use some of it to this day! <citer=@dudebrick><citer=@minideliciouspant>I never got a first Lego set, my Dad used to collect Lego when he was younger and he handed it all down to me. But I had lots of those old 2000-2005 Lego sets, mostly cars, and some others, but I never got one first one.</citer> I got a good bit of my Lego from my dad as well. Still use some of it to this day!</citer> SAME! I only got Lego from my mum cause my dads parents sold his. or some kind of star wars book where a pale clone trooper, a droid, a red walker and a blue tank were included. I'm sadly not able to find any pictures of those. Ozone Studios Feb. 20, 2019. Brick Broadcasting Feb. 20, 2019.